Let’s begin with a short explanation of supporting organizations, groups founded primarily to raise money and provide financial support for an entity that may or may not be a 501c3. A supporting organization is different from a foundation, which has much more of a “restrictive regulatory regime.” These organizations are often established to help raise funds for libraries, which are tax-exempt entities but generally not 501c3s. 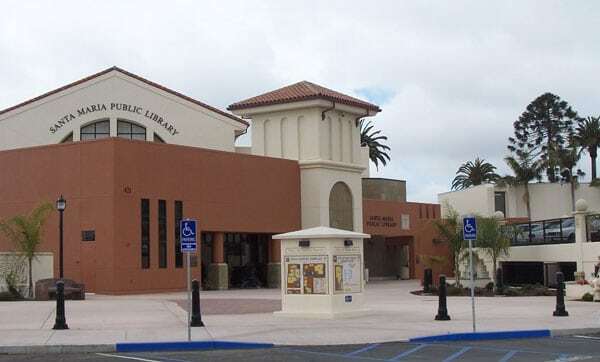 That brings us around to the Friends of the Santa Maria Library in California. Despite its name, this Friends group is neither a Title I, II, nor III support-organization, but rather its own independent 501c3, according to their 990-EZ filing. This is important because those support-organization designations allow for integration of control and administration of the support nonprofit by the organization it supports. In other words, in those cases, the library’s CEO would likely also be the executive director of the support nonprofit. One of the ways the Friends helped support the Santa Maria Public Library was through running a used book store in the library lobby. They used this lobby space for free for about 10 years. In recent years, the city has proposed a lease for the space that would have charged the Friends $2,051 a month for its use. Following two years of declining to sign a memorandum of understanding with the city and the library, and rejecting two lease offers in March and May, the organization closed the store in July. The library opened its own store in the lobby just a few weeks later and stocked it with 2,500 donated books, DVDs, and books saved from the dumpster. This means, of course, that it’s operating without the additional income a lease would bring. The proposed contracts at the heart of this legal dispute would have given the library administration control over some of the Friends programs and would have secured all of the Friends’ net income to “support library operations,” rather than Friends designating specific programs, such as the youth program or computers for school-aged children that are listed in their 990. It appears to us that this is an issue of control—that is, who should control the funds the Friends raise. Directors may be accountable for the misappropriation, waste, or misuse of charitable assets if the loss was the result of deficient or nonexistent internal controls, lack of due care, or reasonable inquiry. Because of this, the charity’s directors should play a key role in establishing internal controls for the charity. Their approval of policies and procedures determines the fiscal management system. The CEO of the California Association of Nonprofits, Jan Masaoka, said that contracts are not unusual between support organizations and hospitals, libraries, and state parks, adding that the requested agreements in this instance did not offer anything out of the ordinary. The issue, Masaoka said, comes when two parties interpret the language of a contract differently. If Friends members want to buy new supplies for their office or buy lunch for a meeting, she said, is that considered supporting the Friends, the library, or both?